Come prepared with your ID and race confirmation SMS sent earlier in the week. Pick up a race envelope with 1 race number, tog bag sticker and safety pins. 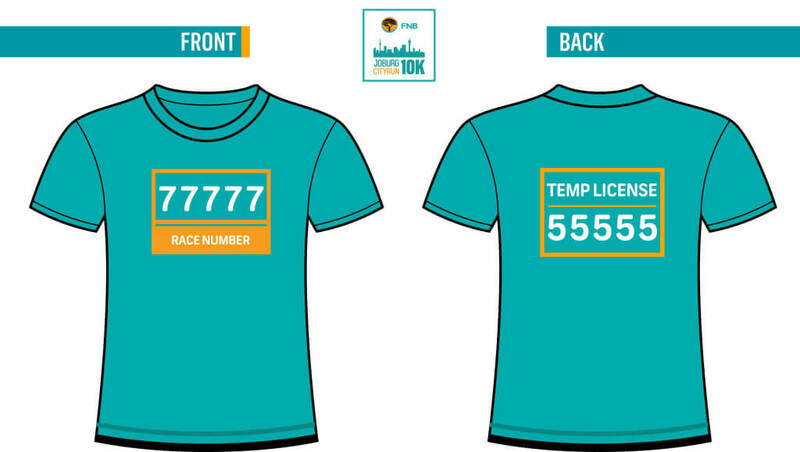 Your timing chip is part of the race number and will be attached to the race number that goes on the front of your shirt. Please do not bend or tamper with the chips in any way. All participants will get their event tee at race pack collection. Please note that t-shirt sizes are limited and therefore cannot be guaranteed. There will be a t-shirt swap shop at race pack collection. Place the event running number over the front license number with the header displaying as per the image below. Display your temporary license on the back of your shirt. Entry substitutions can be done at race pack collection only. The person that is substituting will need to have the race number of the initial entrant. They will then need to update their details on the system and pay R50. Once this is completed they will receive a card with their details on and will be eligible to claim a pack and t-shirt. NB: They will receive the t-shirt which was ordered by the initial entrant. No exchanges will be made. Wheelchair athletes will start after Batch D.
Study the Start Map to make sure you know where you have to go. The start will be organised with seeding pens. If you took the Gold Package, lucky you. Your special start pen awaits. Your friends will be jealous. Your seeding will be on your race number (pinned to the front of your shirt). The pens will feed in from the back and you will move forward into your sections. Bring cash to the race! There will be plenty of vendors selling coffee/water/snacks at the start. The race begins at 08h00 with no cut-off so you can either run a personal best with the speedsters or take your time and enjoy the trip. There are entertainment and vibe points along the route with water points at 3 km, 6 km, 8 km and 10 km. Each one will have specific sponsor and its own specific vibe. Mary Fitzgerald Square will be alive with activity, music and lots of fun. 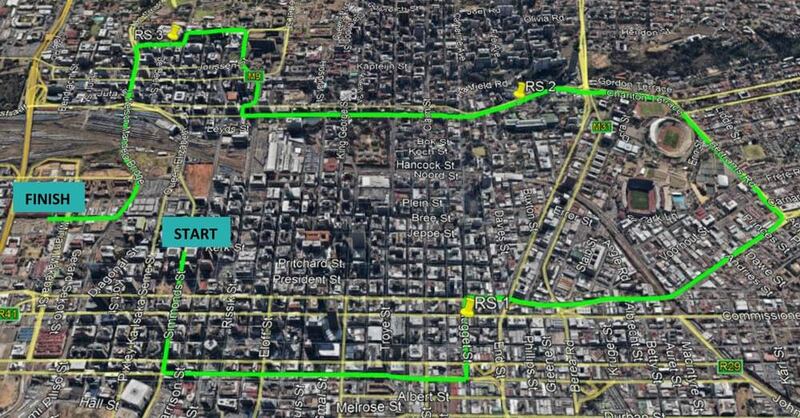 You will be able to check your results on www.joburg10k.com. Use social media to post training updates, times and pics from the day. #FNBRunYourCity.